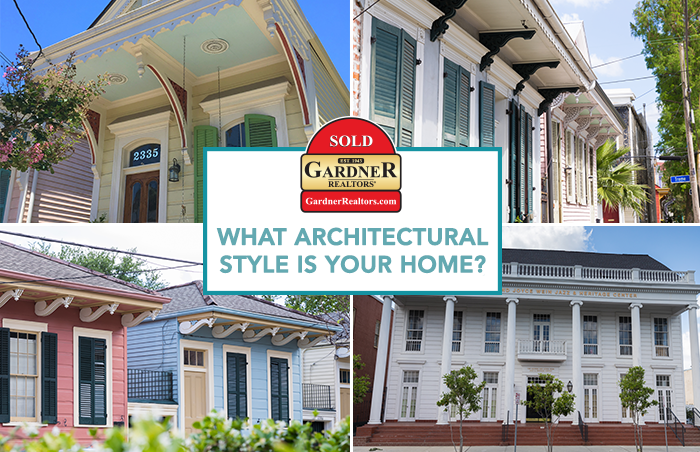 What Architectural Style is Your Home? 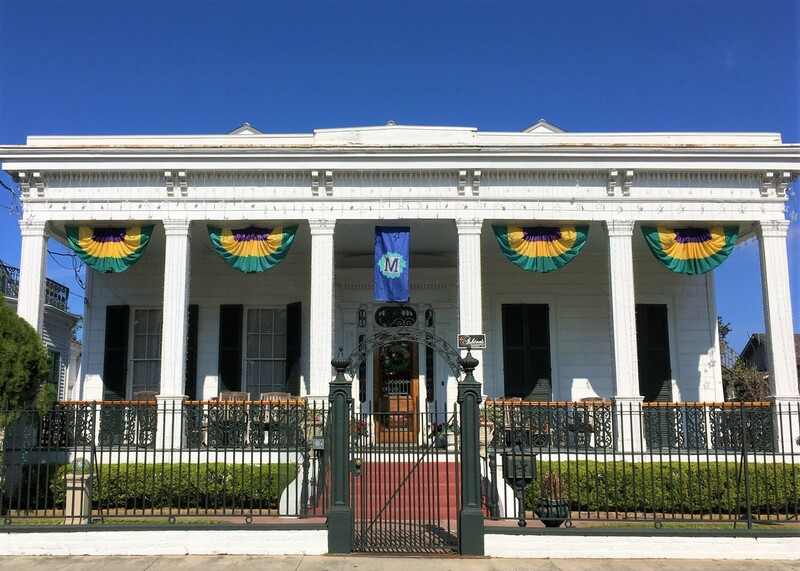 Admittedly, being in the New Orleans/Baton Rouge/Mississippi Gulf Coast area real estate business, we’re partial to the amazing architecture that makes up our region. With so many cultures making up the gumbo that is our home, we have a plethora of uniquely beautiful housing options. So, whether we’re talking about the home you currently own, the one you’re hoping to buy or your absolute dream home, what architecture style is your house? The oldest form of New Orleans housing, these just might be the most famous as well. Built between 1790 and 1850, these Spanish/French inspired homes are 1.5 stories tall and typically sit right up along the property line. Iconic for their bright, pastel stucco/wood exteriors, they commonly feature equally vibrant French doors and large shutters. 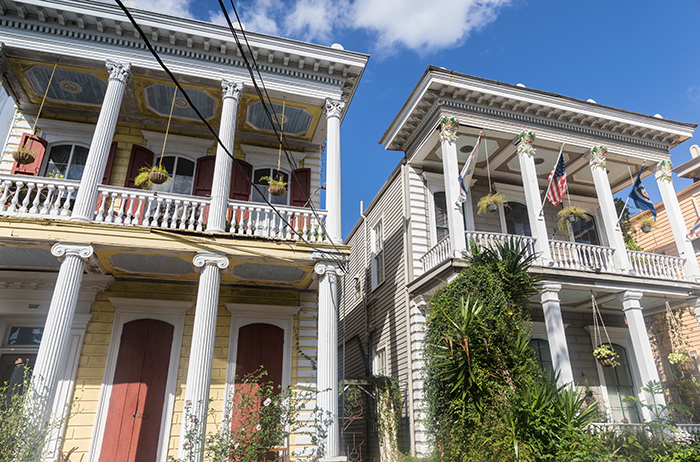 Creole Cottages are covered by steep roofs and can be found anywhere from the Quarter to Faubourg Marigny. 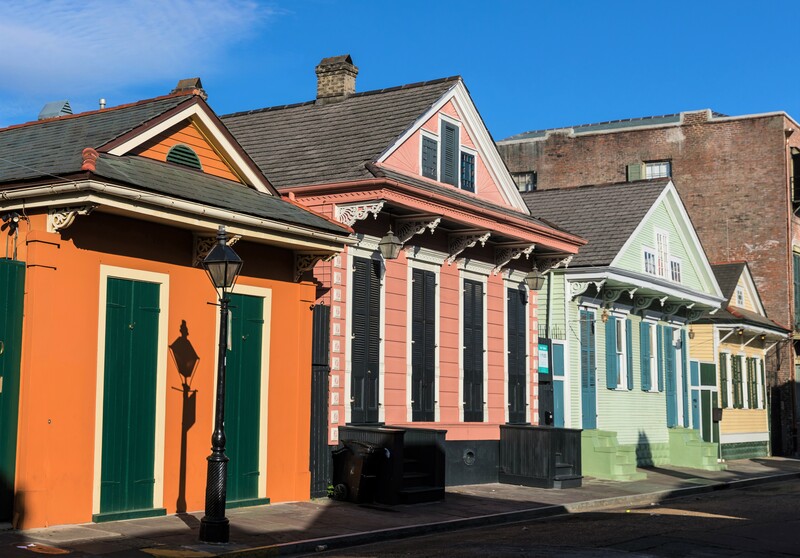 If the Creole Cottage is the Crescent City’s most famous type of architecture, the shotgun-style isn’t far behind! 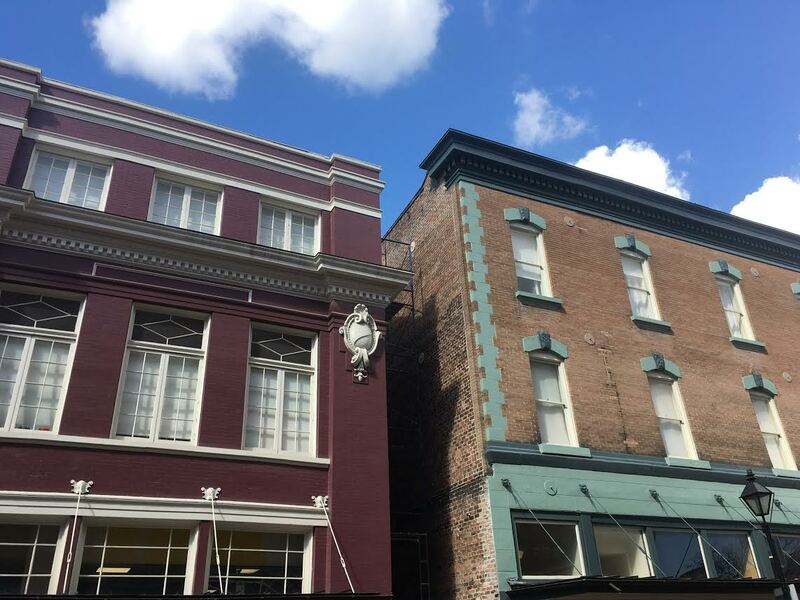 Dating back to 1848, these tiny slivers of homes were built out of necessity as thousands flocked to New Orleans. 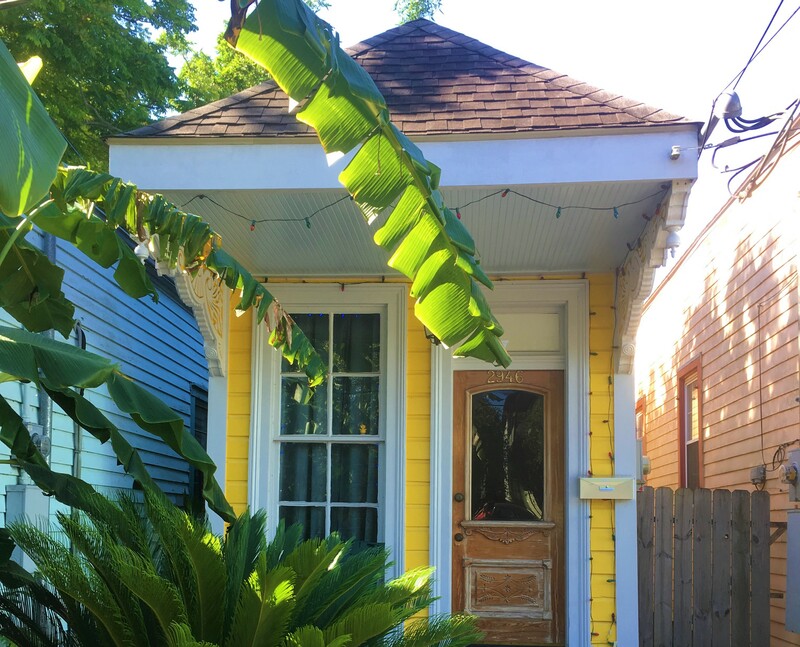 With limited space in town, the shotgun house became the predominant New Orleans home with owners being taxed on lot size, not rooms. Aptly named because you could shoot a bullet through the entire home and not touch anything, these houses are extremely narrow and long. This helped create a cross-ventilation system back in the pre-AC days (can you imagine?)! Today, most layouts remain the same as back then: living room, bedroom, bedroom, kitchen. Like most things in New Orleans, people are finding more and more creative ways to make the vintage like-new! The cousin of the shotgun, this is one of those adaptations. Built the same way, long and narrow, the Camelback house has a second level built on the back providing efficiency much like a camel’s hump. 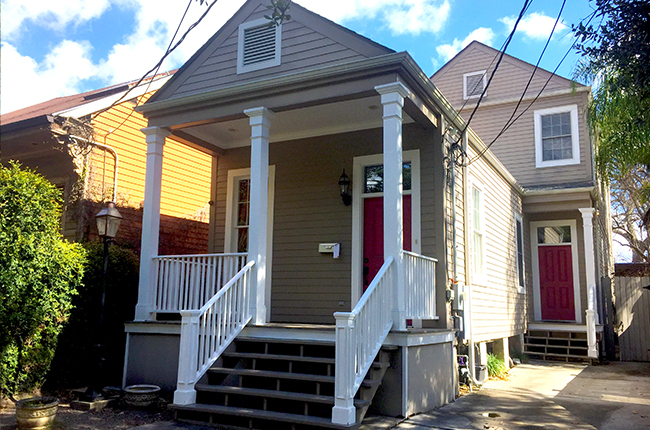 This narrow, usually two or three-story structure is another New Orleans staple. Sporting three openings in the front, you can find these mostly in the CBD, French Quarter and Faubourg Marigny. 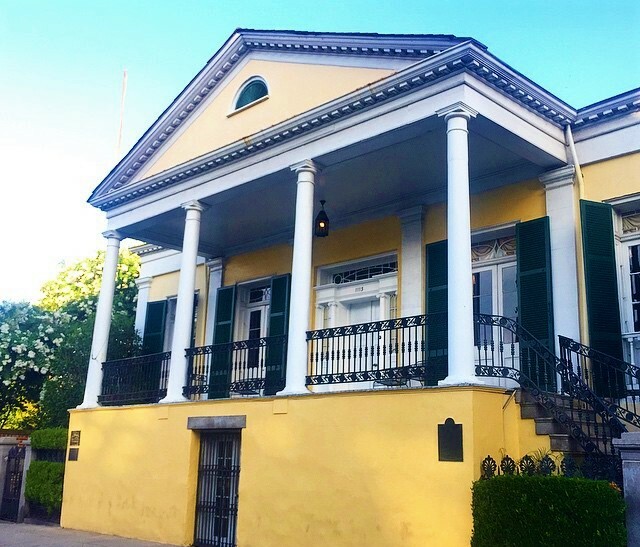 Dating back to 1820, these Greek-Revival buildings in the Lower Garden District feature prime-time Mardi Gras balconies and have become some of the most sought-after pieces of real estate in the entire town! With a typically plain facade, it’s what inside that counts. Second story balconies, as well as private courtyards, are what make the townhouse so unique and coveted. The double gallery is a direct descendant of the standard townhouse. These homes began popping up from 1820-1850 and feature a porch on the first level and lovely balconies on the second can be found all over town. Much like the townhouse, owners of these beauts become quite popular during parade season! With their iconic (typically) white columns standing powerfully off of the property line, double gallery homes are true southern gems. As the name implies, Center Hall homes prominently feature a front door in the center of the house. Once inside, you’re led through a hallway flanked by a pair of windows on either side. These homes began popping up in 1803 and are still nestled proudly in the Garden District, Uptown, Carrollton and Esplanade Ridge. You can find them with sprawling porches and usually sit far off of the sidewalk. Six columns guarding the porch and center door creates a symmetrically beautiful design. Many residents add flags and decorations in true NOLA fashion to really accent the symmetry! Often built similarly to the center hall, these houses sit up from ground level as the name applies. Of course, with New Orleans relativity to sea level, there’s no need for basements. However, New Orleans architects take advantage of the efficiency of a basement. They do this by building the first floor with low ceilings instead of having to dig into the ground. These can be found in Carrollton, Mid-City and Broadmoor. Now you’re educated on many of the beautiful housing options that our city has to offer. Contact us next time you’re in the market for a new home, and we’ll look at all the different types of architecture to find the best option for you and your family! For all of your dream home needs, contact your LOCAL expert at Gardner Realtors today!